Like having a pool in your own back yard with the heated community pool only 100 yards away. 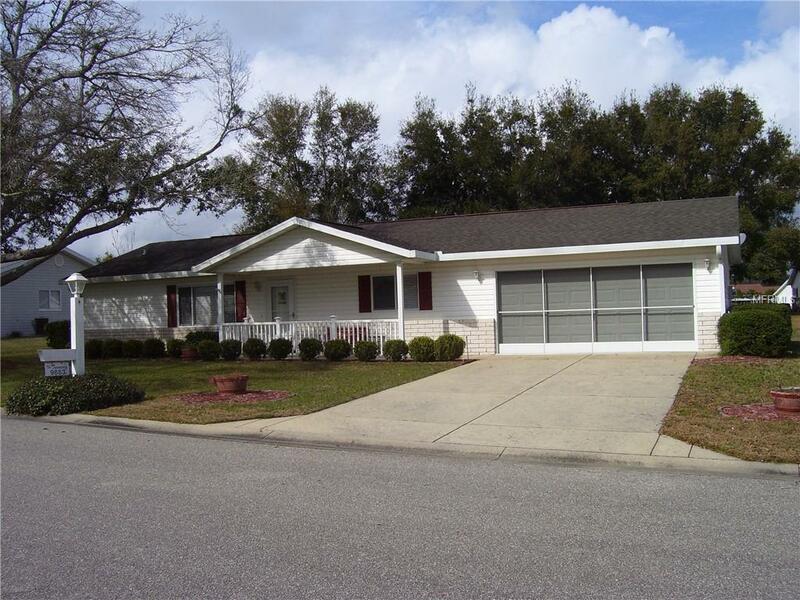 Impeccably maintained, split bedroom Fir Model w/enclosed Lanai and lots of updates. Tile floors in main living areas, newer laminated wood floors in bedrooms. Kitchen has updated cabinets, counter-tops, sink/faucet. Most appliances new in last year. Oversized garage extended 4 feet w/laundry tub inside. An ideal buy for snow birds - owners new home won't be completed until Fall 2019, but they will close now and lease the home back from the buyer until then. It's a great buy at this price. Listing provided courtesy of Spruce Creek Real Estate, Llc.